The Stiga ®4 Star Supreme Table Tennis Bat is very stylish and high quality 4 star bat for the more offensive minded player who requires greater speed with maximum spin and elasticity. This bat arrives ready to play and conquer! 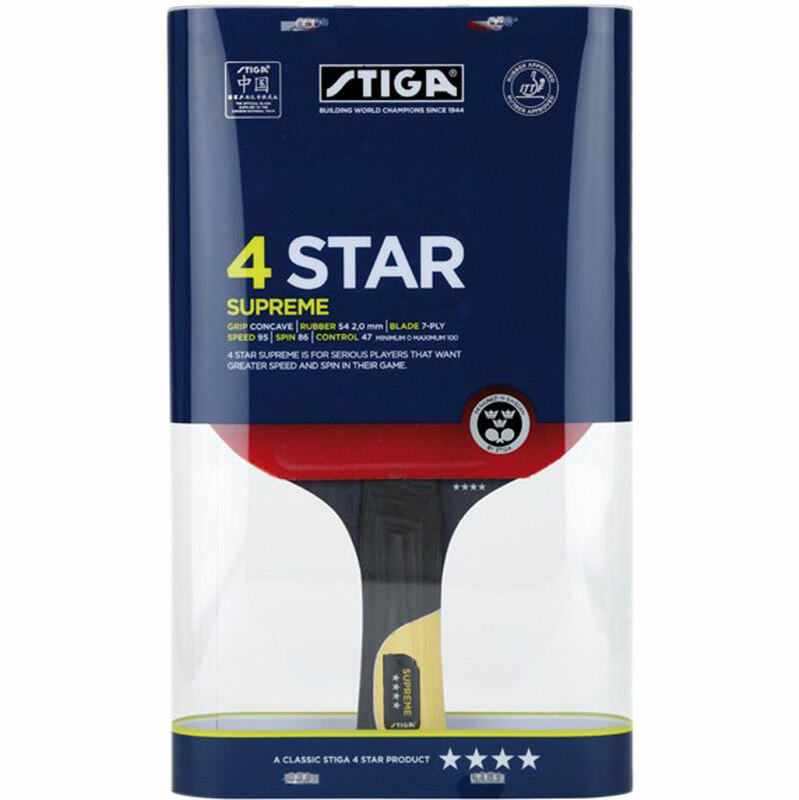 Our most popular 4 star bat from STIGA who are World Class in Table Tennis! 7 ply all round with Flare / FL handle shape. Stiga S4 2.0mm Red & Black rubber on each side.